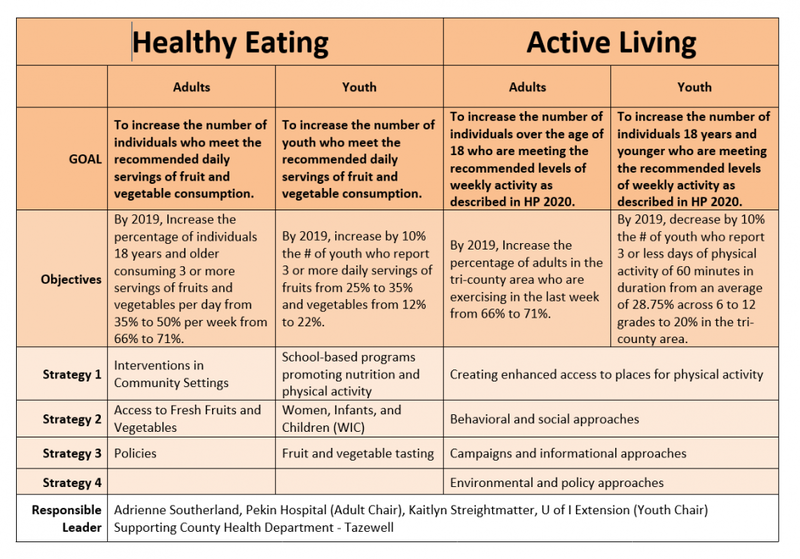 Goal: To increase the number of individuals and youth who meet the recommended daily servings of fruits and vegetables, and to increase the number of individuals and youth who meet the recommended levels of weekly physical activity. 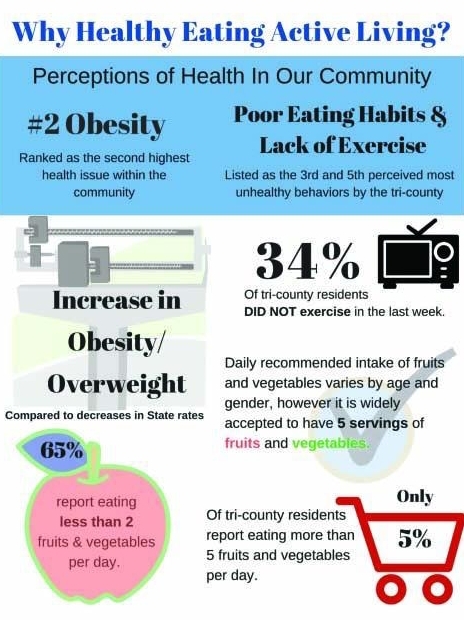 Healthy Eating/Active Living (HEAL) was prioritized by all three counties to focus on youth and adult nutrition and physical activity. The HEAL group was formed to create a goal, objective and strategies. This group met a total of four times to finalize the dashboard that is presented in the Community Health Improvement Plan (CHIP). The group identified Adrienne Southerland, Pekin Hospital and Kaitlyn Streitmatter, University of Illinois Extension Office to chair this piece of the CHIP with the support of Tazewell County Health Department.